Our income is from gold sales sourced mainly from the Victorian Gold Fields and sold overseas to the United States and Europe. We wholesale alluvial gold into Las Vegas, USA and Zurich, Switzerland. Gold Bullion is sold globally. We specialise in referrals to large companies, or government organisations that deal in large sales of bullion. We have agents in the following locations. We provide an advertising medium for others associated within the gold fossicking industry, and assist with sales of their products. Provision of an online forum for interested parties is encouraged. 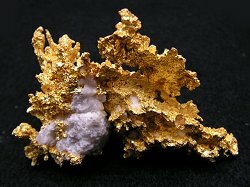 Online current world gold prices from www.kitco.com are presented through this site. A currency converter providing up to date exchange rates is a feature. Up to date information regarding Australia is provided. The legend of Lasseter's Reef is presented in simple format. Maps of Australia showing the main gold regions are presented. Fossicking laws relating to legal requirements through every State is presented. Links to other gold orientated sites both within and outside Australia are displayed. The Archives relate to almost 4 years of previous magazines that provide excellent information about the history and current situation within the Australian Gold Fields. Gold Net Australia Online has on average 90,000 web hits per week... or around 4,600,000 web hits per annum and rising.